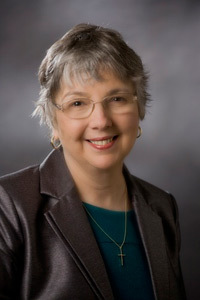 Today it is my honor to have Kathy Pooler as a guest blogger. Her recently published memoir, “Ever Faithful to His Lead: my journey away from domestic abuse,” is receiving well-deserved accolades. Here, Kathy gives us a glimpse of her story, what led her to her “poor choices” in love and why she wrote her story. Welcome, Kathy. I loved your book (My review can be found on Amazon and Goodreads.). You’ve touched on a topic that has captivated the public recently. Can’t wait to hear more about this issue from you. Abuse is an equal opportunity affliction. It comes in many forms— physical, emotional, spiritual, sexual, financial. It happens under the best of circumstances. I don’t consider myself to be an expert on the topic of abuse, but I do have a personal story to share that I hope will shed some light on the impact abuse can have on victims of abuse and the people who love them. The close-knit, stable Catholic family I was blessed to be born into—both immediate and extended—made me feel safe and loved. My parents, Bob and Kay, modeled a healthy marriage and enjoyed 67 years together before my Dad died in 2010. My 91-year-old mother is still alive and well. With the support of my family, I achieved a Master’s degree in nursing and family nurse practitioner certification. I’ve been a staff nurse, director of nursing, in-service education coordinator, educational consultant, nursing faculty member and, most recently, a family nurse practitioner. I had everything I needed to have a good life and I’m living a good life now. But, it wasn’t always that way. I spent twenty-five years getting into and out of two emotionally abusive marriages. 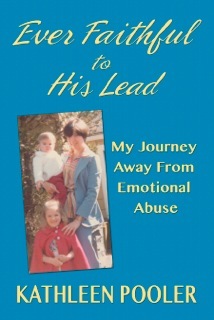 And until I wrote my memoir, Ever Faithful to His Lead: My Journey Away From Emotional Abuse, I lived in shame and guilt for all the self-defeating choices I made. It was my secret and I didn’t even realize I was keeping it. Sometimes you move forward from your mistakes and you think you are “over” the pain and regrets. Until you start digging and realize you have pockets of pain buried deep inside. What would cause a young woman from a stable, loving family to make so many wise choices about career but so many poor choices about love that she ends up escaping in broad daylight with her two children from her second husband for fear of physical abuse? This is the question that inspired me to tell my story and drove the narrative once I started writing. It was not an easy story to write and there were many times I had to put the manuscript aside. I am not the person I was back then and it was frustrating and painful to have to go back and relive those times when I made major life decisions despite the red flags. My first husband, “Ed” in the memoir (not his real name) was a good person with a bad problem (alcohol). He was a “mean drunk”. One night in a drunken rage, he ripped the post off our maple bed. Our children—6 months and 2 and ½ were asleep in the next room. I faced him down and he dropped the jagged post on the floor. He could have just as easily killed me. My second husband, Dan whom I married ten years after divorcing Ed had a bipolar condition he neither admitted to nor sought treatment for. My children and I were hostages to his ongoing verbal abuse which did not manifest itself until after we were married. When he shook his finger in my face and screamed at me because my mother who has just visited put the bread in the refrigerator, I knew I had to leave. It was what I learned soon after he did this that reinforced my decision to leave. What was I thinking marrying a man who put my life in jeopardy one night by driving drunk? Why couldn’t I take action when I saw that things were NOT going to get better once we were married? And, why did I stay once I knew his drinking was escalating? How could I have allowed myself to get into a second marriage that turned out to be worse than the first? I married my first husband because back in the 1970s that was the thing to do. Many of my girlfriends were engaged. I didn’t want to feel left out. And after all, my parents had such a good marriage. Why wouldn’t I? I never saw anyone drunk. Although I was terrorized that night in the car, my magical thinking allowed me to categorize it as a one-time occurrence that would go away. Yes, I was very naïve. Inexperienced in life and oblivious to the red flags. Why did I stay? I stayed for six years because a good Catholic girl takes her wedding vows seriously—till death do you part. Mom and Dad struggled in the beginning. It will get better became my mantra. In hindsight, I was a frazzled single mother in a high pressure job when all I ever wanted was to replicate the loving, intact family I came from. I was lonely. My kids needed a father who would be there for them. I was far away from my family…He was charming, my vulnerability clouded my ability to be rational. I was seeking happiness from someone else rather than trusting in my own ability to take care of myself. I was escaping my reality. Again, magical thinking. I hadn’t learned the lessons from the first failed marriage. I hadn’t taken responsibility for my own happiness. Why do women stay in abusive relationships? That is the cry from all the media frenzy. It’s easy to pass judgment when in fact abuse is very complex. You love the person who is abusing you, he/she isn’t always this way, you are dependent on this person financially, you have been threatened if you leave. Often times, the most dangerous time for an abused person is right after they leave. Best to help the abused person help themselves. Support them in finding a safe place. They already feel powerless and ashamed. The internet and news are flooded with stories of horrific abuse, often ending in murder—straight, gay, men, women, children. Abuse does not discriminate. Learn about abuse and keep an open mind… . It’s hard for people who have never experienced abuse to comprehend how it can happen. Reach out…abuse is not a personal problem. It’s a societal problem. Help break the silence … abuse is shrouded in shame. Support the abuse victim by giving her/him the tools they need to help themselves; be there for them; show them that it is possible to love without experiencing violence. What about people who don’t have the kind of support that I had? Abuse can happen under the best circumstances. If I had stayed in either of my marriages, I could have been just as dead at the hands of either man- from a drunken rage or uncontrolled anger as someone who comes from abuse and has been a victim of physical abuse. I want to inspire hope and action for those who need to find their inner strength. 3. We all have everything we need within, but we need to claim and honor our own inner strength to get the life we want and deserve. 4. The very things that you think are holding you back from having the life you want can serve to help you find your way to freedom. 5. Hope matters, even when al seems hopeless in the moment. It’s time to break the silence, share our stories and reach out to those who need to find freedom from abuse. How about you? Do you know someone who is being abused? What are your thoughts on breaking the silence? When her second husband Dan’s verbal abuse escalates, Kathy finally realizes she must escape before she and her children become a statistic. Kathleen Pooler is an author and a retired Family Nurse Practitioner whose memoir, Ever Faithful to His Lead: My Journey Away From Emotional Abuse, published on July 28.2014 and work-in-progress sequel, Hope Matters: A Memoir are about how the power of hope through her faith in God helped her to transform, heal and transcend life’s obstacles and disappointments: domestic abuse, divorce, single parenting, loving and letting go of an alcoholic son, cancer and heart failure to live a life of joy and contentment. She believes that hope matters and that we are all strengthened and enlightened when we share our stories. She lives with her husband Wayne in eastern New York. –One of her stories “The Stone on the Shore” is published in the anthology: “The Woman I’ve Become: 37 Women Share Their Journeys From Toxic Relationships to Self-Empowerment” by Pat LaPointe, 2012. – Another story: “Choices and Chances” is published in the “My Gutsy Story Anthology” by Sonia Marsh, September, 2013. Dear Lorenzo, It’s an honor to be your guest and to join you in your efforts to raise awareness about domestic violence. I’m thrilled to feature you as my guest on Monday,12/1 at http://krpooler.com to further this discussion about stopping violence against women through your international role as an advocate for abused women. Kathy, as always it is I who is honored to have you as my guest. Your story of faith and perseverance is so inspiring. Thank you, thank you for sharing. Thank you, Kathy, for having the courage to come forth and tell your story.Love your line, “It’s time to break the silence, share our stories and reach out to those who need to find freedom from abuse.” All the best, Wanda S.
Thanks, Wanda for stopping by to read Kathy’s story. I agree, “it’s time to break the silence. ” Best to you. You might want to stop at Kathy’s blog and read my story. http://Www.krpooler.com. As a therapist that has been involved with domestic violence in the capacity of facilitating education groups for men who batter as well as patients/clients that have been victims of domestic abuse, I appreciate your message. What you wrote resonates with all that I have observed and learned. Thank you for sharing this! Thank you, John for offering your perspective as a therapist. It has been very rewarding for me to partner with domestic violence community groups to spread the message of domestic abuse awareness and prevention through my story. I’ve also been speaking with counseling center clinical staff about abuse issues.It’s time to break the silence. I appreciate you stopping by. Next Post What’s Under Your Tree?